South Africa: Support FAWU on Strike at SAB Miller Soft Drinks! 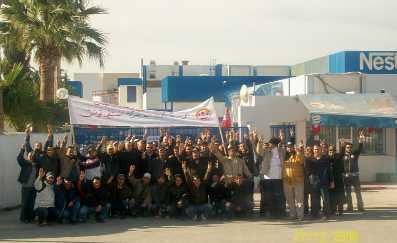 The strike by three thousand workers launched by the IUF-affiliated Food and Allied Workers' Union (FAWU) on December 22 at SAB Miller's ABI Soft Drinks Division has now entered its second month. Read more about South Africa: Support FAWU on Strike at SAB Miller Soft Drinks! 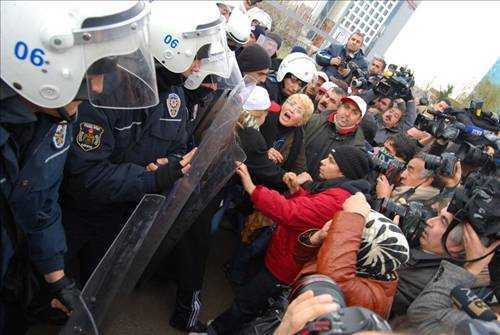 The protest of TEKEL workers against the government's sudden and arbitrary decision to shut down their workplaces continues into its 7th week despite cold and rainy weather conditions, lack of proper shelter and the threat of police violence. On 10 January 2010, AB InBev management announced its intention to cut 10% of its remaining 8,000 workforce in Western Europe blaming declining beer consumption and a need to be "slimmer and more flexible". 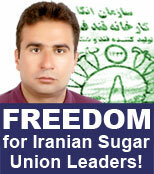 Sixth Iranian Sugar Union Leader Faces New Charges- Act Now! Reza Rakhshan, communications officer for the Haft Tapeh independent sugarworkers union in southern Iran, was arrested by security agents at his workplace on January 4 and was only released from Shush prison on January 20 after being charged with "endangering national security" for his union activity. 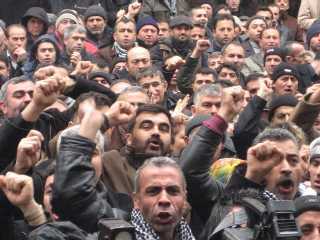 Read more about Sixth Iranian Sugar Union Leader Faces New Charges- Act Now! Barring any last-minute surprises, Kraft, the world's second-largest food company, will swallow UK-based Cadbury. Barely a month after deriding Kraft as an "unfocused" conglomerate and declaring "There is no strategic, managerial operational or financial merit in combining with Kraft", Cadbury Chairman Roger Carr announced that the price was right. He praised Kraft for its commitment to "our heritage, values and people throughout the world"…and acknowledged the inevitability of job cuts. Following two days of strike action, 200 UNISON members working for Sodexo in North Devon NHS Trust, have won their bid for better pay and improved terms, in line with a national agreement set out in October 2006.